We don’t often think of fat cells as a good thing. In fact, many people spend countless hours and dollars trying to shrink these cells. For the most part, this is a wise move. Excess fat does damage our health. And the habits that reduce it are typically good for us. But there’s one place where a layer of fat cells is actually beneficial. You may have found that there’s a bit of a trade-off in your appearance when it comes to exercise. Yes, exercise and maintaining a healthy weight can help your body look better. But some people find that burning all that fat leaves their face looking a bit gaunt. It’s true: a layer of fat under the facial skin actually helps you look younger and healthier. Some of this fat under the skin is tied to your weight. So if you’re an extreme exerciser, you may eliminate a good bit of it. But not all of it. The skin actually contains specialized cells called dermal fibroblasts. These cells play a number of important roles in the skin. For starters, they make connective tissue. They can also help the skin repair itself if you injure it. And some of them can convert into those fat cells. These fat cells really do improve the skin’s appearance. And looking good is important to most of us. But these fibroblasts don’t convert to fat just to serve our vanity. When they do this, they also make a peptide that plays a key role in helping our bodies fight infections. The problem is that this process often slows down or even stops as we age. 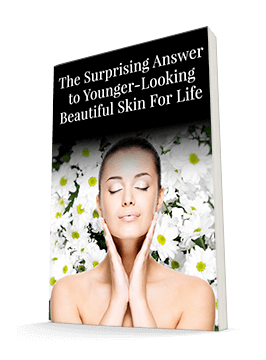 This is part of the reason older skin doesn’t look as firm and plump as younger skin. It also contributes to poorer immune function as we get older. So it’s important to keep this process going for as long as possible. Researchers are of course trying to figure out how this conversion works at the cell level. Scientists at the UC San Diego School of Medicine identified a key foe in the process: transforming growth factor beta (TGF-β). This protein seems to prevent the fibroblasts from turning into fat cells and producing the immune peptide cathelicidin. Cathelicidin is an antimicrobial agent. It helps the skin fight off bacterial infections. It’s particularly helpful against Staphylococcus aureus (S. aureus). You might not think you know much about S. aureus. But you’ve probably heard of MRSA. MRSA (methicillin-resistant S. aureus) is the form of S. aureus that’s resistant to antibiotics. And it’s the number-one cause of death from infection in the U.S.
Clearly, this issue goes beyond just our appearance. You definitely want to be able to fight off MRSA if you encounter it. So you need to know how to keep those fibroblasts working smoothly. The UC San Diego researchers have had some success with blocking TGF-β in mice. Doing so helps the mice build more fat under their skin and fight infections more effectively. But this research doesn’t have a lot of practical applications for humans yet. I don’t know about you, but I don’t know how to block the TGF-β pathway in my skin – and I’m a dermatologist. There is some good news though. The UC San Diego researchers aren’t the only ones studying this issue. Up the road at UC San Francisco, researchers have been focusing on links between the immune system, skin infections, and psychological stress. Sure enough, the researchers were able to link psychological stress to a greater risk of skin infections in stressed mice than their non-stressed counterparts. And the stressed mice had fewer antimicrobial peptides in their skin. The researchers looked closer and found that the stress caused the mice to make more glucocorticoids. And these kept the skin from converting fibroblasts to fat. That in turn was the reason for the decrease in peptides. These researchers – and others who have reviewed their work – believe that limiting stress could help protect human skin. Stress also prompts us to produce glucocorticoids, which in turn limit our fat conversion and peptide production just like they do in mice. Of course, you might think limiting stress is easier said than done. In fact, you might think decreasing your stress levels is just as impossible as figuring out how to block your TGF-β pathway. But it doesn’t have to be. I’d like to tell you about one of my favorite tools for managing stress. But first, let me tell you about Vivian. Vivian would probably have told you that the fat levels in her face or even contracting MRSA were the least of her worries. She was struggling with depression, weight gain, insomnia, and fatigue. She was at her wit’s end. And while she didn’t have a skin infection, I think if she’d contracted one, it would have been serious. Her immune system was burnt out. Vivian felt chronically stressed. And the anxiety that ran in her family was perpetuating the cycle. But Vivian had seen the effects of prescription anxiety medications like Valium on some of her family members. She didn’t want to try them. But the various herbs she’d tried weren’t doing much good either. Worrying about finding a solution was just making her problems worse. Many of Vivian’s health issues were actually the result of elevated cortisol production. You may recognize cortisol as the “stress hormone.” Cortisol is a key glucocorticoid – one of the culprits the researchers discovered in preventing fibroblasts from converting to fat. Getting Vivian’s cortisol under control was the key to taking back her health. Fortunately, her doctor knew of a powerful way to do just that – without drugs. Vivian had tried some herbal remedies in the past. They didn’t do much. But she hadn’t tried honokiol. Honokiol is a polyphenol that comes from the bark of the magnolia tree. It’s an incredibly powerful antioxidant. And it works as well as Valium at treating anxiety. It just doesn’t come with dangerous side effects – like being addictive. Studies have even shown that it can be as effective as Valium without causing motor dysfunction or sedation. Doctors know that honokiol is great at reducing stress and anxiety. They also know that it protects the skin from dangerous bacteria like MRSA. The link between stress, fat cells, and immunity that I told you about above may help explain honokiol’s seemingly unrelated benefits. Honokiol is one of the rare polyphenols that can cross the blood-brain barrier. Its access to the brain allows it to help you relax. The liver and the gut destroy many other antioxidants. But not honokiol. So it’s able to do a lot more than many other herbs to improve your health. If you’re suffering from chronic stress, your skin might seem like the least of your worries. But added plumpness and immunity can be a benefit of getting stress under control. Plus, you’ll have a lot more protection from the stress of a dangerous skin infection. You can think of these skin changes as positive “side effects” of honokiol. If you’ve been using Valium to control stress, talk to your doctor about alternatives like honokiol. You should really only take benzodiazepines like Valium for two to three weeks. Unfortunately, many doctors prescribe them for much longer. This is risky, and it makes withdrawal unpleasant. Never stop taking any prescription drug, especially Valium, without a doctor’s supervision. But do consider alternatives before you agree to take a prescription drug like this as a long-term solution. Once you’re ready to try honokiol, I recommend a product called HonoPure by EcoNugenics. It’s the most powerful form available. It’s also the one researchers choose for their studies. One final note: when your skin has been struggling with this fat conversion process, whether due to age or to stress, its microbiome is likely to be out of balance. That’s because it’s not making the antimicrobial agents it needs to fight off unfriendly bacteria. There are a lot of “bad guys” out there besides MRSA that won’t land you in the hospital but will damage your skin nonetheless. One good way to help your skin restore microbiome balance externally is with a vitamin C serum. It will help restore the pH balance of your skin and supply needed antioxidants. Of course, I recommend reducing stress in your life as well to get internal processes working smoothly. But a serum can be a great asset as you slowly turn the ship around. Stress less and gain fat might not make for a good headline. But if you want to look your best, it’s actually a great strategy. Just make sure you choose healthy ways to get there, like lifestyle changes or an herb like honokiol if you need some extra help with anxiety. Treat Anxiety With the Power of Valium Without the Side Effects, June 2011, Volume 17, Issue 6.